This card has been made for the progressive freebie challenge at The Outlawz. The main egg image was created by Sandra Van Blaricum. It has been coloured with Promarkers & Flexmarkers. I used a sketch from Sketch Saturday for the layout. The card black was covered with easter themed paper from DCWV. The bunny image is from Delicious Doodles and the sentiment is from Scrap N Fonts. The egg in the bottom corner is a cardstock element from my stash. This was matted onto yellow card and edged with an orange Promarker. The image and sentiment are matted onto offcuts of card from my scraps drawer. This is so cute, Mandy. What a great sketch and fun design with the images and paper. Thank you so much for joining in at my Crafty Wednesday challenge this month where it's all about Spring or Something Green! 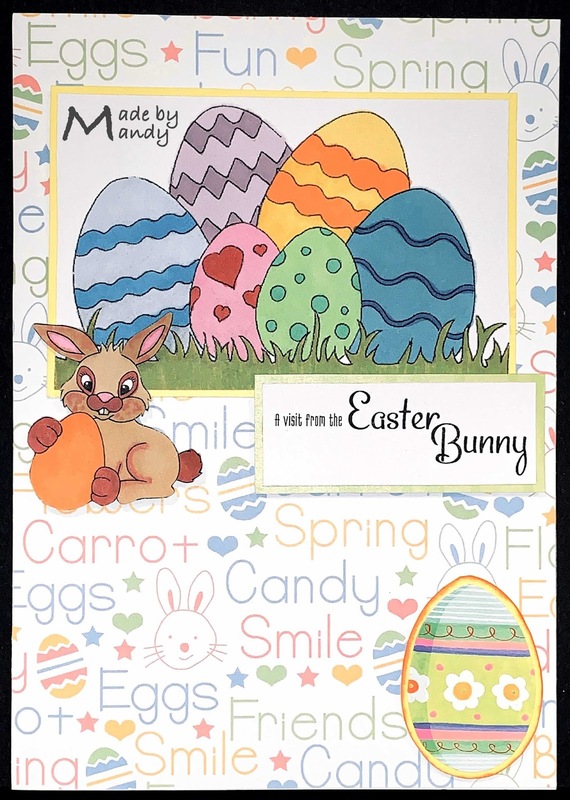 Mandy, you have made quite a few lovely Spring cards! You beautiful work will surely bring joy to a few hearts during this season. Thanks for leaving this wonderful project on our front porch at 613 Avenue Create! A super Easter card featuring the rabbit. Thanks for sharing at Cardz 4 Galz. Caz. DT. This is the perfect Eater card, so bright and cheerful. Very cute!! Fabulous job matching the colors in your image to that adorable patterned paper! Thanks for playing with Jo's Scrap Shack. Wonderful and lovely easter card. So cute!! Thanks so much for participating in our LEANN’S WORLD 101 challenge. Hope you participate in our next challenge!! Have a happy crafty day!!! Cute Easter card. Thanks for sharing and joining the challenge at the Love to Craft Challenge Blog. Cute card! Thanks for joining us at Unicorn Challenge. Thanks for sharing your gorgeous project with us in the Love To Scrap Challenge Blog's March "Anything Goes" challenge and we hope to see you again next month! Lovely creation! Thank you for sharing with us over at The Creative Crafters. We hope to see you again. 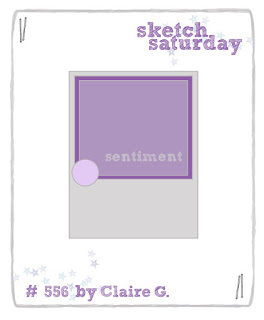 A great card - thanks for sharing it with us at the Creative Playground Challenge Blog. beautiful make thank you so much for entering the challenge at Createful Heart digis.